The Hydro Crunch Stainless Steel Bowl Trimmer 16 inch model features a clear plastic top for better visibility, a removable handle for convenient storage, and removable grille for easy service. This trimmer will cut twigs, remove leafs, and preserve buds from a variety of plants. The Hydro Crunch trimmer is essential in making hash, oils, aromatherapy products, and potpourris. 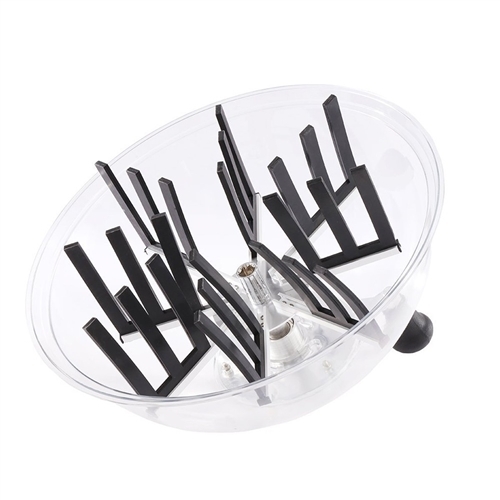 It harnesses the power of 30 scissors in 1 unit and comes with 2 wire blades and 2 straight blades. 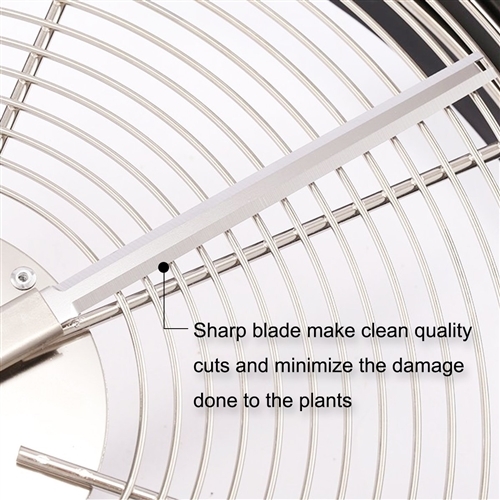 The Bowl trimmer cuts your trimming time in half. 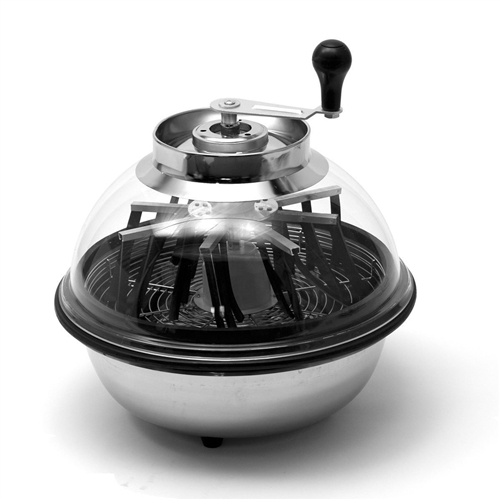 Crystal dome to see your product and with inverted cutter blades which are removable form the top. Any project a snap when looking to collect leaves from your plants. 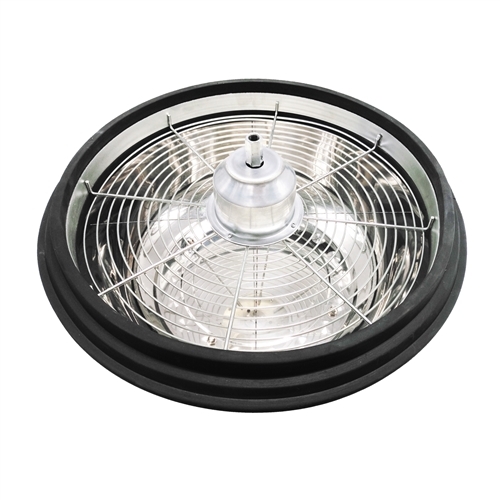 If you look for the best tool to help you with your garden the bowl trimmer is perfect for all kinds of projects. Note: Bowl trimmer only used for small amounts of your project one at a time. Overloading the trimmer and spinning too fast will damage the spin motor. Dimensions 16 in. 16 in. x 16 in.